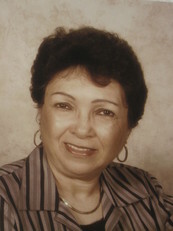 Gobert's Sitters Registry is proudly owned and operated by Ms. Shirley Ann Gobert, a native of Opelousas (Mallet), LA. In 2003, Shirley was inspired to start the registry to assist those who desire to continue living an independent lifestyle as much as possible, inspite of any possibly physical limitations. Gobert Sitters Registry provide caring, compassionate home care services and are required to complete rigorous hiring process prior to employment. Our registry is a premier provider of non medical private duty home care services. Gobert's Sitters Registry provides caregivers to meet your home care needs through companion and hands-on personal care services for elderly individuals. Gobert's sitters registry never closes, there is always someone available to assist YOU. We provide 24hr. care, therefore, we are staffed with 24hr. on call case managers. We're available to assist you at all times! We provide Quality Home Care Services....For an affordable Rate. So give us a call, YOU'LL BE GLAD YOU DID!!! "We're Caring, Compassionate & Professional"
Our caregivers are caring, compassionate and professional - that goes without saying. Each is also carefully evaluated to ensure they're dependable, reliable, and punctual. This is done to ensure that satisfactory work performance is given not only to the agency but also to the client. Our goal is to keep family and clients happy. We cater to the Mind, Body and spirit. Listen To How We Can Help Make Your Life Easier! No one will be excused from the rules!! !